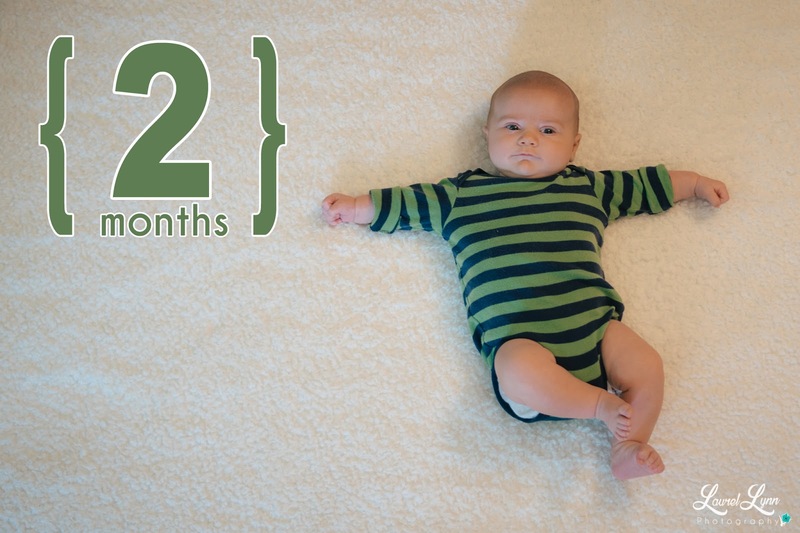 Just Another Day...: Squish is Two Months Old! Squish is Two Months Old! 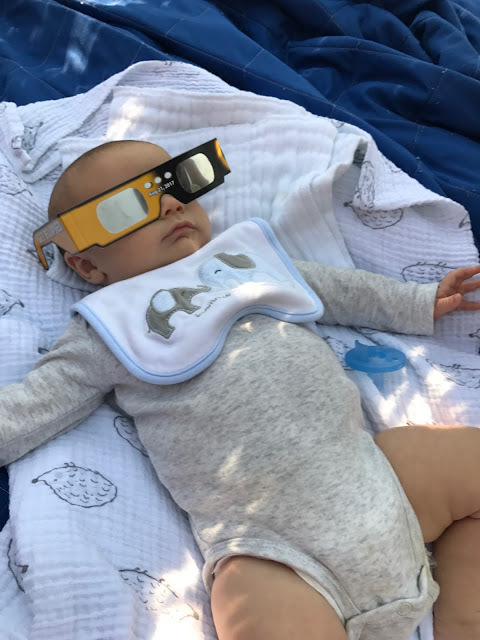 While I'm being honest about my (innumerable) shortcomings, let me acknowledge the completely awful lighting on Squish's 2 month pic below. Mama was tired. Mama had (and still has) 1.2 zillion things on my To Do List. Child chaos encircled me. Editing the image was a luxury of time I could not afford. Did I mention I was tired? And 13 days late in taking the pic in the first place. Y'all. It's terrible. I admit it. Please don't shame me. 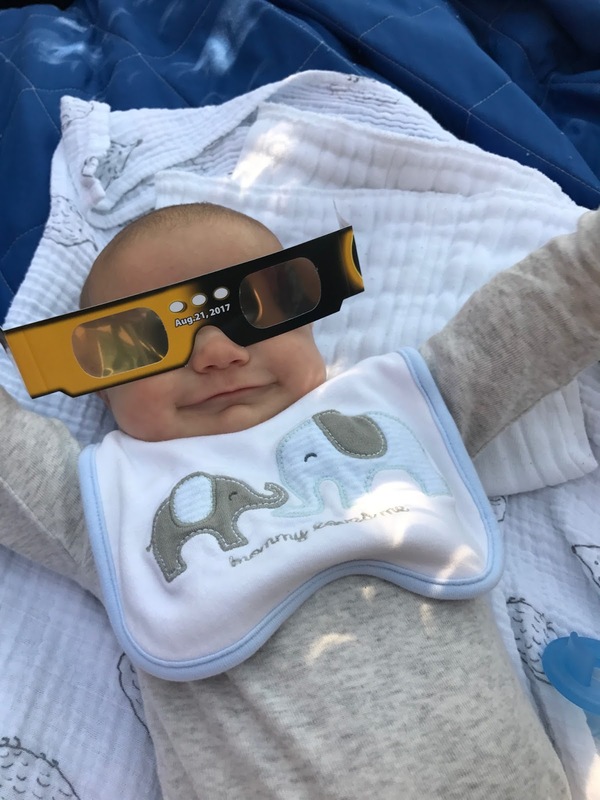 The good news is, that's one heckuvan adorable baby right there!! Did I mention it was important to me to be sure his THIGHS made it into the pic? Those thighs! Bigger than my wrist! I'm so not used to having a baby with rolls. I can barely handle the squishiness! Did I mention we're over 3 weeks into our 2017-2018 homeschool year? That's been going AWESOME, but whew is it ever keeping me busy! I'm rolling into my 4th year of homeschooling, and I feel like I'm just now starting to find my groove. I guess that's equates to a big ol' OOPSIES to the past 3 years? Haha! But I'm so on point with the lesson planning, the classroom instruction, the FUN science experiments (major mom points! ), and I'm feeling good about where this year will take us. Our Classical Conversations co-op starts next week, and we couldn't be more excited to see our old friends and make new ones! I'm praying that this will be our best year yet!